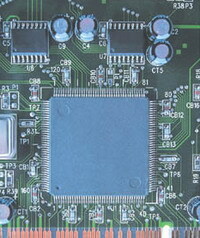 Printed circuit boards for solid systems (LED) lighting and illumination. As part of the system of LED lighting, we can offer to our customers to choose from our ready-made solutions or to develop a specific project of power supplies (AC / DC or DC / DC) for solid-state lighting systems and lighting with constant current mode or constant voltage , corresponding to GOST 29192-91 «Electromagnetic compatibility of equipment. Classification of technical devices» with power factor correction and without.